The UK’s best online casinos have plenty of rewards to attract new players and keep existing customers coming back for more. Offering exciting casino promotions is a surefire way to do both. With so many top online casinos in the UK, you can expect brand new casino promotions daily – great news for those looking to spice up their online casino gameplay with the latest giveaways, competitions, prize draws and free spins offers. Of course, this means it’s a fairly tough task making sure you don’t let any great deals slip between the cracks. Fortunately, we’ve got them all in one place – you’ll find any casino promotion worth your while right here, as and when they become available. We’ve also got all the need-to-know information on promotion eligibility, wagering requirements and most importantly, how to claim. So keep your eyes peeled to make sure you snap up 2019’s best UK casino offers before they expire. Win an 8-night deluxe Cruise around the Iberian Peninsula for two! Opt in, deposit and play through an accumulated £50 until 30th April on any game to get a ticket to the prize draw. Each player will get one prize draw ticket for every accumulated £50 (or currency equivalent) that is deposited and played through on any game during the promotional period. Only real money will apply for getting prize draw tickets. Prize Package includes: 8-night Iberian Cruise from Barcelona, £600 airfare, all inclusive and onboard entertainment. Deposit £20 and wager it twice to be in with a shot of winning a Porsche 718 Cayman Coupe 2.5 S 2DR. For every £20 deposited and wagered twice, 1 point is earned. Winner selection is conducted through a random draw and not based on how many tickets are earned. Number of entry tickets are unlimited. Earn just 500 points to receive one ticket. (1,000 = 2 tickets etc). 1 ticket triggers entry. Pick a Premier League team and every goal that your chosen team scores in a match, you will get spins to play on Gaelic Luck – earn up to 20 spins per goal! Get 100 extra spins on Tuesday, another 100 extra spins on Thursday and spin for up to 100 extra spins for Saturday! Tuesday – 100 Extra Spins on Starburst for depositors. Thursday – 100 Extra Spins on Berryburst video slot. Saturday – 100 Extra Spins on Wheel of fortune. The winning of Extra Spins must be wagered 35x the amount awarded within 3 days and it is only valid for the Starburst video slot on Tuesday from 00:01GMT +3 until 23:59 GMT +3. 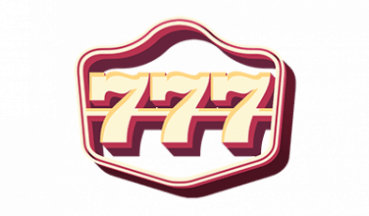 Make your first deposit using promo code: 1LUCKY7 and get started with up to £100 INSTANT FreePlay! Enjoy even more FreePlay in your following 4 deposits taking you up to take up to £1,500 in FreePlay! £20 min deposit. 1st deposit immediate 100% up to £100 FreePlay (FP). 2nd -5th deposits must be done and wagered 3 times within 7 days of the 1st deposit, to receive 30% up to £350 FP per deposit. Bonus wins are capped at £500. To withdraw bonus & related wins, wager 30 x (bonus amount) within 90 days. Explore the world of Aspers Online Casino with up to 100 free spins – no deposit required! Simply register an account and your bonus will be waiting. This registration offer of “Up to 100 free spins on NetEnt Slots” is available to newly registered players living in the UK and does not require a deposit. Free spins wheel is accessible via the welcome page (Starburst by default) or by opening any non-progressive NetEnt slots. Players will be awarded the amount of free spins the spindle lands on. Odds of winning vary per section. Winnings from free spins will be added as bonus funds and carry a 25x wagering requirement. Have a fun-tastic time playing your favourite “Romance” slots! Wager £50 or more on 14.02.2019 and win 20 free spins in Bollywood Story, on 15.02.2019! Wager £50 or more in the slots included in “Romance” slots category, on 14.02.2019! Win 20 free spins in Bollywood Story, worth £0.09 each, on 15.02.2019! Bets placed from both desktop or mobile participate in the offer. Each player can receive 20 free spins at maximum. Free spins have no wagering requirements. Bet £50 on Pro Blackjack and get a £5 bonus. Just opt in to get started! Opt in required. £5 will be awarded when you stake £50 (or currency equivalent) on Pro Blackjack. Valid once per day until the end of the promotion. Maximum bet with bonus is £5 per round and £0.50 per line. Bonus is subject to a wagering requirement of 30x bonus amount. 7 day expiry on bonus. 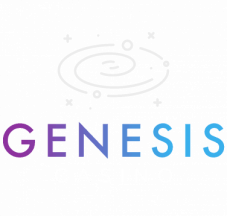 This offer is valid from 4.2.2019 until 15.2.2019; 23:59 GMT for new 888casino players only. Deposits made with Skrill or NETELLER are not eligible for the Welcome Bonus. In order to be eligible for the 120% up to £300 and 50 Free Spins, players must deposit £20 or more using code 888Love exactly as written, when they make their first time deposit. To withdraw the Bonus and any winnings generated by the Bonus as well as the Free Spin wins the relevant amount must be wagered 30 times within 90 days. “Elk Tournament” runs from Wednesday 00:00:01 CET on 13/02/2019 until Friday 23:59:59 CET on 15/02/2019. Prize-pool distribution shown below: 1st €850, 2nd €500, 3rd-4th €250, 5th-9th €100, 10th-16th €50, 17th-31st €20. The player will need to meet requirements in order to get points in the leaderboard. What better way to celebrate the release of a new game than a brand new casino offer? Free spins and leaderboard promotions are sometimes offered to create some buzz around the latest titles and are usually targeted at online slot players. So if you’re a fan of the spinning reels, you might be able to snag extra spins to use on some of the newest additions to your favourite casino’s game collection. While most promotions offer rewards such as online casino bonuses and free spins, giveaways open the door to some serious VIP treatment. These can range from all-inclusive luxury getaways and huge cash giveaways to tickets for some of the biggest sporting events of the year. Giveaways are easily accessible for most players too – you’ll usually only need to place wagers on a predetermined selection of games to be in with a chance of winning a prize. Some giveaways see winners drawn at random, while others function in a more competitive fashion, featuring a leaderboard. This kind of promotion is best suited to high rollers, as your place on the leaderboard is usually determined by the total amount staked. These promotions usually end with more than just one winner too, with cash prizes, bonuses and free spins often shared amongst hundreds of players. New slots promotions and giveaways only come around every so often. 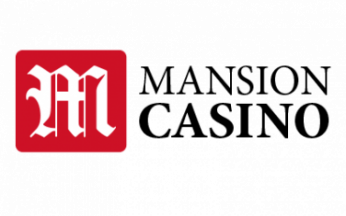 Keeping your eyes on our casino offers feed is one way to make sure you never miss out on the biggest deals, but there are some casinos that award players with bonus offers as part of their regular schedule. Pick out the right casino and you could claim daily free spins, reload bonuses and even weekly cashback offers. Casino promotions always feature terms and conditions that outline who is eligible to claim them and any resulting rewards. Of course, the most common requirement is that players have registered for an account. However, there are other requirements that vary depending on the casino and the promotion you choose. These range from restrictions surrounding banking methods, such as Neteller, to minimum deposit requirements. It’s important that you read the terms and conditions attached to any promotion to make sure you’re eligible for the best UK casino offers. If you manage to land some free spins as a reward from a casino promotion, you’ll have a chance to use them and earn real money winnings. However, in most instances, you won’t be able to withdraw your bonus winnings right away. Unless you win no wagering free spins, you’ll have to fulfil wagering requirements. This is simply the number of times you must wager your bonus winnings before they’re made available for withdrawal. Make sure to check the wagering contribution as well- at most sites, only 10%-20% of wagers placed on table games like roulette contribute to the wagering requirement, whereas bets on slots usually contribute 100%. Of course, no promotion lasts forever. It’s important to keep an eye out for the expiry date, as this has a huge impact on your chances of winning. For example, if you’re a few days late to join a leaderboard promotion that only lasts a week, you’ll likely be playing catch up and may have been better off deciding against opting in. If you do manage to claim any resulting bonuses or free spins from a casino offer, you should also be aware that these will expire too. The expiry date is predetermined and will always be found in the bonus terms and conditions. It will vary depending on the casino and promotion you choose too. While one promotion may give players 30 days to use their extra spins, another may expire within two days. Can I claim more than one promotional offer at once? This depends on the terms and conditions of your bonus. More often than not, you’ll be allowed to claim multiple promotional offers at once. For example, if your casino offers cashback for players who wager a certain amount in a week, as well as a leaderboard promotion, claiming one of these deals usually doesn’t mean you’re restricted from taking advantage of the other. Can I claim promotional offers on my mobile? Yes. The best UK casinos ensure its promotional offering is the same no matter which device players use. If you’re on the go, you’ll be able to claim mobile casino offers using most web-enabled devices – either on a mobile website or native mobile casino app. Do I need to make a deposit before claiming a promotion? Yes. The only casino offer that allows you to play without making a deposit is the no deposit bonus.  Virtually every promotion will require you to place at least one real money stake before you can claim any rewards, so you’ll need to visit your chosen casino’s cashier page to make a deposit. Can I use a bonus won from a promotion on any title within the casino’s collection? No. In most instances, your bonus funds or spins will only be valid on a predetermined selection of games at your chosen online casino. There are certain games that online casinos only accept real money stakes on, such as live dealer tables.